Substantial investment is required if the government is to meet its fuel poverty targets according to its advisory body. The first report of the Committee on Fuel Poverty makes clear that the government must find £20bn if it is serious about meeting its legally binding fuel poverty target – that the energy standards of all fuel poor homes must be at least EPC C by 2030, the standard of homes built today. The Committee makes 15 recommendations to government. As well as more money, it recommends re-introducing the Landlord’s Energy Savings Allowance; more financial assistance for households as they wait for energy efficiency improvements; improved targeting of fuel poor households through better data sharing; and improved energy advice. The End Fuel Poverty Coalition welcomes the CFP’s report and its echoing our core concerns. More information on the recommendations of the report are summarised on our website and in the full report. Read the End Fuel Poverty Coalition’s response to the Committee on Fuel Poverty’s report here. The government’s advisory group on fuel poverty, the Committee for Fuel Poverty, this week released its first annual report after being established at the start of the year. Tasked with advising government on fuel poverty policy, specifically the delivery of its Fuel Poverty Strategy, the report offers detailed analysis and a series of urgent recommendations in order for impending 2020 and 2030 government fuel poverty targets to be met. Noting the closeness of the government’s 2020 target deadline, it makes a series of urgent recommendations to increase the efficiency, impact and likelihood of averting expected shortfalls in delivery and funding. Even with ramped up and more targeted action, the committee notes that to meet the 2020 milestones there would be a back-up of activity in 2018 and 2019. • A stronger emphasis on improvements in the targeting of fuel poor households, right down to being able to identify individual addresses to facilitate roll out of specific services and support. • Better Data Sharing legislation to connect up information held across government departments. • Moving expenditure from the full suite of Government fuel poverty programmes so that it is more focused on fuel poor households, to include Winter Fuel Payments, Cold Weather Payments and the Warm Home Discount. • The provision of a ‘targeting efficiency metric’ for each fuel poverty programme. • Fuel poor households to be given help with fuel bills until their homes are improved. • A greater role for councils, charities and health agencies to work alongside fuel companies to delivery energy efficiency programmes. • Investing into energy efficiency from National Infrastructure funds. • Placing onus on private landlords to fund energy efficiency up to minimum standards in their properties. More detailed analysis of the report will be provided by the End Fuel Poverty Coalition, but in the meantime information on the Committee for Fuel Poverty and its report and recommendations can be found here, as well as the government’s 2015 fuel poverty strategy ‘Cutting the cost of keeping warm’ for reference. EFPC member, National Energy Action, this week launched ‘Get Warm Soon?’, its report investigating the impact of health and wellbeing boards in England in their approach to tackling fuel poverty. The report assesses how many health and wellbeing boards in England are including public health indicators on fuel poverty and excess winter deaths in their needs assessments and health and wellbeing strategies. It also assesses the extent to which health and wellbeing boards are applying National Institute for Health and Care Excellence (NICE) recommendations to reduce ill health associated with living in a cold home. While there are some signs for optimism, NEA’s findings show serious call for concern on the role and impact of health and wellbeing boards in tackling fuel poverty. • 40% of health and wellbeing board strategies fail to address fuel poverty or excess winter deaths. • Only 32% of health and wellbeing boards reference actions in their joint strategic needs assessments or strategy that are in line with at least one of the 12 NICE recommendations. • 30% have some form of health and housing referral service in place to provide tailored solutions to people vulnerable to the cold, but only one-fifth of boards reference such a service in their strategies. • Evidence of procedures that make sure hospitals and other service providers do not discharge patients into cold homes is only available for 13% of boards. • More optimistically, there is an increase in the number of boards prioritising fuel poverty as a health and wellbeing issue, with more than a third of boards now doing so. For more information contact NEA and read the full report or executive summary. Four in every five deaths (82%) occurred among people aged 75 and over. There were an estimated 36,300 excess winter deaths in this age group in 2014/15, compared with 7,700 in people under 75. Excess winter deaths for men and women more than doubled in just one year, with more deaths among women than men. Male excess winter deaths increased from 7,210 to 18,400, and female deaths from 10,250 to 25,500 between 2013/14 and 2014/15. On the same day (25 November) that official figures revealed that last winter’s excess winter deaths were the highest for 15 years, the chancellor announced that he was cutting the Energy Company Obligation (ECO). George Osborne announced, in the spending review, that ECO will run for five years from April 2017 with an annual budget of £640m. This represents a 42 per cent reduction in expenditure. The average ECO spend over the 2.5 years to the end of June 2015 was £1.1bn per annum. “The chancellor failed to heed calls from 200 organisations to commit infrastructure funds to a major energy efficiency programme targeted on the fuel poor. 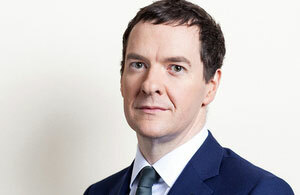 He also indicated a cut in ECO, the only remaining help in England for householders living in cold homes. Infrastructure funds to make our homes energy efficient would have led to lower bills and a massive saving to the NHS. Instead he is slicing the key policy in England that can bring much-needed help to the fuel poor. National Energy Action (NEA) estimates that this decision could lead to the NHS having to spend in excess of £22bn to treat cold-related illnesses over the next 15 years. A ‘consumer-led, competition-focused energy system that has energy security at the heart of it’ was the core message from Energy Secretary Amber Rudd when she announced plans to close all coal-fired power plants by 2025 but relax the drive for renewable energy. The speech, on Wednesday 18 November 2015, aimed to ‘reset’ Britain’s energy policy. Energy Secretary Rudd did recognise that: “One of the best ways to cut bills and cut carbon is to cut energy use itself” and said she was ‘determined’ that help though the Energy Company Obligation (ECO) would be ‘concentrated on those in greatest need’. Jenny Holland also added that energy competition often failed those on low incomes who could not benefit from online deals using direct debit. “Making energy competition work for everyone should also be a government priority” she said. Making this country’s homes highly energy efficient should be a national infrastructure priority, according to recently published independent research and would be a ‘win-win’ for the Chancellor’s spending review on 25 November 2015. The research, by Verco and Cambridge Econometrics, revealed that a programme to make UK homes energy efficient would provide net economic benefits of £8.7 billion, based on the government’s own economic analysis – comparable economic benefits to infrastructure initiatives such as HS2 Phase 1, Crossrail and new roads. Government is finalising its spending plans in the lead up to the Spending Review (when £100 billion is anticipated to be allocated to support infrastructure projects over the next 5 years). If just £3 billion of this were allocated to an energy efficiency infrastructure programme, 2 million low income households could see their homes made warm and their fuel bills affordable. “This research is clear: investing in energy efficiency offers significant net economic benefits to the nation, comparable to infrastructure investments in roads and railways“, said End Fuel Poverty Coalition Chair Jenny Holland. “A major energy infrastructure programme would boost economic growth, reduce the UK’s reliance on gas imports and help deliver a net increase in employment across the country. It would keep energy bills down, reduce health costs and warm up the homes of the fuel poor. Members of Parliament joined over 80 stakeholders at the launch of our ‘Ending cold homes: Affordable warmth’ manifesto. Our manifesto calls on the current and future governments to dramatically improve action to end fuel poverty and thereby improve people’s health and quality of life, reduce the cost of living, create jobs and negate carbon emissions. Millions of people cannot afford to heat and power their homes and millions are suffering ill-health, stress and anxiety due to unaffordable fuel bills. Members of the EFPC believe that everybody has the right to a warm, dry home that they can afford to heat and power. Energy efficiency to be an infrastructure priority: Make energy efficiency of our homes a central priority for investment in the country’s infrastructure and secure long term funding for this. A cross-departmental Fuel Poverty Strategy: Implement a strategy to end fuel poverty that sets targets for all relevant government departments and which works alongside policies on social well-being, health inequalities, housing affordability, climate change and poverty. Delivery of home improvements and a greater role for health and social workers: Use trusted agencies and organisations, such as local authorities, to improve homes and encourage health workers and social workers to refer people for home improvements to tackle cold-related ill-health. A better deal for low-income energy consumers and fuel bill rebates: A requirement placed on fuel companies to provide a better deal to those on low incomes, and rebates on fuel bills to all low-income consumers, with higher rebates for those in homes that are difficult to heat. Employment and income policies that allow people to afford essential services: Make sure employment and income policies – benefits, tax credits, state pensions, minimum wage – provide an income sufficient to meet current costs of living and reduce the proportion of household budgets required for essential goods and services, including energy. Hosted by the Chair of the Coalition Jenny Holland, a panel of Coalition members; Ed Matthew from Energy Bill Revolution, Sophie Neuburg from Friends of the Earth, Mervyn Kohler from AgeUK and Peter Smith from National Energy Action, set out our 6 pledges to end the misery of cold homes. Sophie Neuburg welcomed the strong targets set out in the manifesto and Ed Matthew said that the economic return from investing in energy efficient infrastructure is equal to anything else the Government could invest in. Peter Smith highlighted the need for a cross-departmental fuel poverty strategy and Mervyn Kohler argued for giving resources to local authority and health workers to take action to address the health implications of cold homes. In response to the 6 pledges in the manifesto, a cross-party panel; Jonathan Reynolds MP, the Shadow Minister for Energy and Climate Change; Stephen Lloyd MP, the Parliamentary Private Secretary to the Secretary of State for Energy and Climate Change Ed Davey; and David Amess MP who introduced the Warm Homes and Energy Conservation Act in 2000 – gave us their support. Jonathan Reynolds promised to make fuel poverty a prominent feature of the Labour manifesto and committed to a major overhaul of ECO. Stephen Lloyd promised to make sure the six asks are reflected in the Liberal Democrat’s manifesto. David Amess promised to take the manifesto to Number 10 and called on everybody to make fuel poverty a major issue during The General Election campaign. We very much hope that the political parties will support our manifesto and work together to tackle fuel poverty. We are keen for new members to join the coalition. Please support the EFPC in our campaign to end cold homes. If you want to pledge your support please sign up on our website or email efpc@connectpa.co.uk for more information. 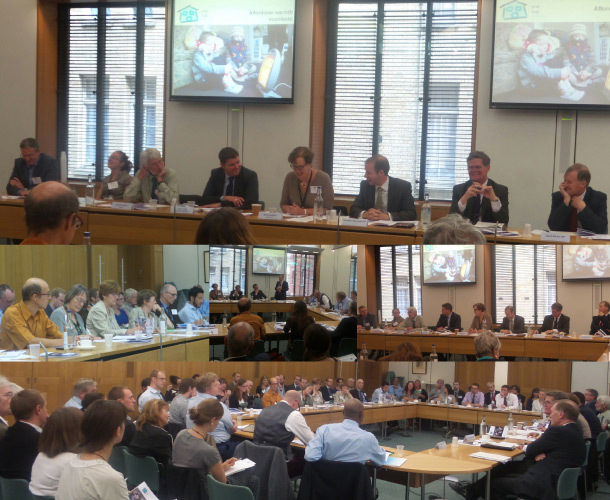 The End Fuel Poverty Coalition manifesto was launched in Parliament on 9 September 2014. Hosted by Chris Williamson MP. Please click here to view our manifesto. The Future Climate and the Centre for Urban Research and Energy at the University of Manchester has published this significant report on energy efficiency for Houses in Multiple Occupancy (HMOs) and how to implement a specific policy for tackling fuel poverty. The report finds that there is a strong case for additional regulatory protection from the cold for HMO residents. It recommends including HMOs within the Government’s minimum energy efficiency standards for the private rented sector. Please click here to read more! The End Fuel Poverty Coalition welcomes the government’s recognition that improving homes to high energy standards is central to ending fuel poverty in the long term. But its strategy is riddled with escape clauses. The government says it will only improve homes ‘where reasonably practicable’. It was these words that rendered the last fuel poverty target virtually meaningless. The target must be met for all low income households with exemptions only given in exceptional circumstances. And it must meet the target by 2025, not 2030 as the government proposes. Without these guarantees the proposed target leaves too much wriggle room for the government.